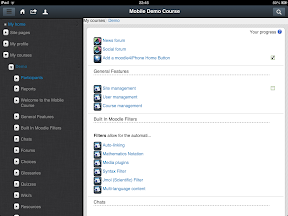 Finally , we are pleased to release the plugins that will allow to navigate moodle using your mobile devices or tablets. Hi Carlos! Can you tell us how your theme compares with the standard MyMobile theme? Thanks! 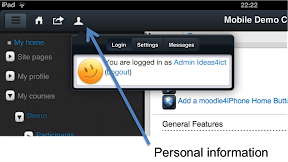 We have made 2 interfases: 1 for tablets and the second one for mobile devices, that is the reason why we offer 2 themes.